Take 5 Gets the Point! Look how great the pattern Take ‘5’ Gets The Point pattern is using the fabric collection Enchanted Rose by RJR Fabrics. 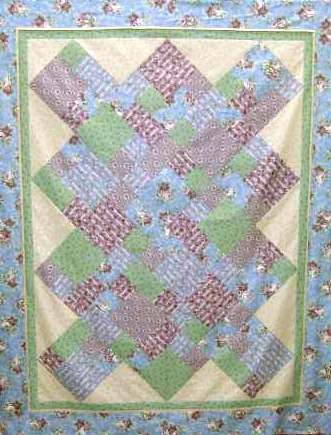 Take five minutes, choose five fabrics, and in just a little over five hours you too could have this 67″ x 84″ finished quilt top. Nancy Eagan made this one and she had fun doing so. We have Take Five Enchanted Rose kits available. This entry was posted on Friday, November 13th, 2009 at 2:37 pm and is filed under Uncategorized. You can follow any responses to this entry through the RSS 2.0 feed. You can leave a response, or trackback from your own site.